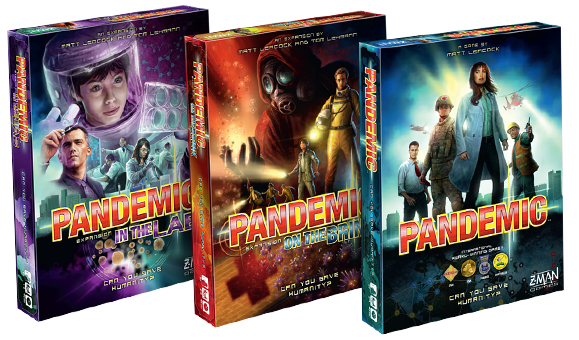 Raise the stakes and face new challenges with this Pandemic expansion. 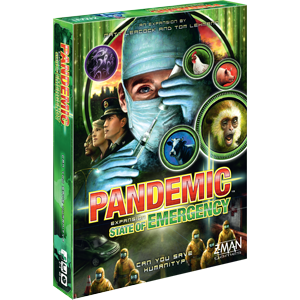 Pandemic is required to enjoy this game. You’ve found the cures to four deadly diseases. But what happens when those diseases get stronger? Worse yet, what happens when someone spreads them intentionally?! 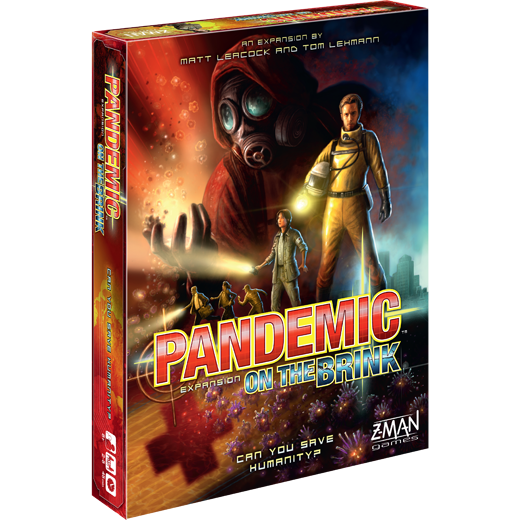 Return to the world of Pandemic with On the Brink and prepare for the unexpected. The three challenges included with this expansion evolve the base game mechanics in exciting ways. One disease might become a Virulent Strain and become more difficult to treat as the game goes on. Or you could introduce an unpredictable fifth disease with the Mutation challenge and watch it pop up in unexpected places. Finally, teamwork is even more important if a fifth player dons the mask of the Bio-Terrorist and spreads panic while moving secretly across the board. Try each challenge individually or combine them all for a major test! 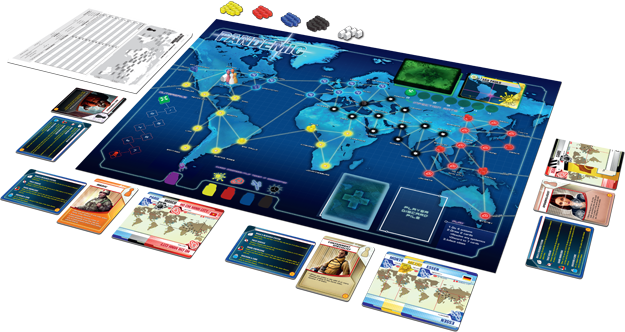 On the Brink also includes more of what made Pandemic an instant classic. With seven new roles and eight new event cards, the expansion injects even more variety into your globe-trotting adventures. Anticipate upcoming infections as the Troubleshooter or save the day with the extra actions granted by a clutch Borrowed Time. 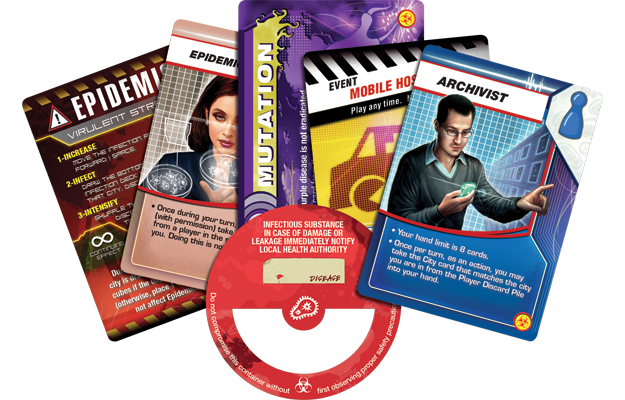 Combined with the base game, these cards open new avenues for experimentation and improvisation in your quest to save humanity. 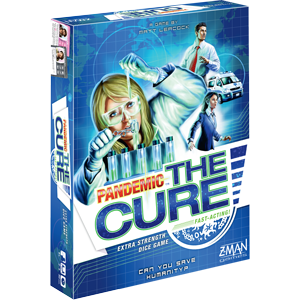 And if finding cures is becoming routine even on the Heroic difficulty, you can always add the Epidemic card and tackle Legendary difficulty. 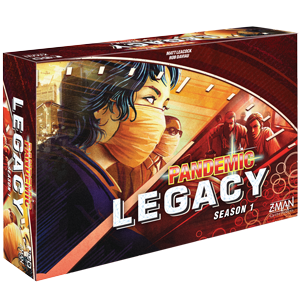 With a whopping seven Epidemic cards, playing at Legendary will challenge even the most experienced Pandemic players. The stakes have been raised. Now rise to the occasion and save humanity. 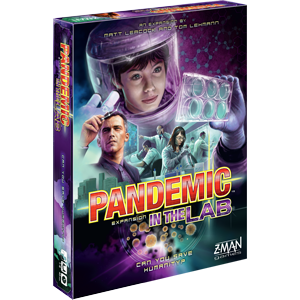 Work with other players to cure deadly diseases before they spread. The fate of humanity is in your hands!